The upcoming Extraordinary Synod of Bishops on the theme of the family is sparking unprecedented interest in the Church due to the urgency and gravity of the pastoral problems concerned as well as the hopes and expectations expressed in response to preparatory consultations. 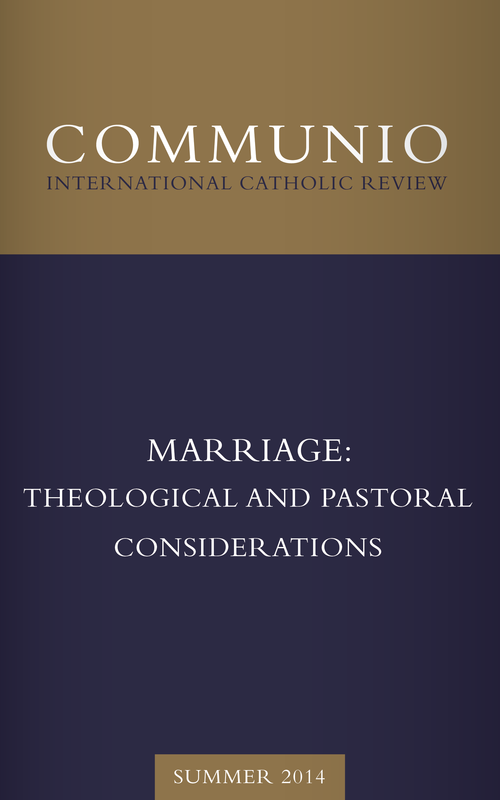 Already during Vatican Council II, the Pastoral Constitution Gaudium et spes placed marriage and the family at the forefront of the urgent issues of our age.1 Since the publication of the encyclical Humanae Vitae, the 1980 Synod on the family, and John Paul II’s rich teaching on this subject,2 the Church has not ceased to follow with growing concern the evolution of mores and mentalities away from the heritage transmitted by biblical revelation and the Christian tradition. Pope Francis has compared the Church’s mission in the contemporary world to a “field hospital” that treats the many wounded strewn about a battlefield.3 The image perfectly describes the situation of marriage and the family, which for several decades has experienced a serious deterioration not only on the level of couples’ lived experience but also in legislation contrary to the traditional values of the family, promoted by groups of lobbyists who favor the dominant relativistic mentality. * This address was originally presented at the Opening Act of the Judicial Year of the Ecclesiastical Tribunal of Valencia (Valencia, Spain, 27 March 2014). 1. Cf. Vatican II, Pastoral Constitution on the Church in the Modern World, Gaudium et spes (hereafter GS), part 2, ch. 1. 2. John Paul II, Man and Woman He Created Them: A Theology of the Body, trans. Michael Waldstein (Boston: Pauline Books and Media, 2006); Apostolic exhortation Familiaris consortio (hereafter FC) [The Role of the Christian Family in the Modern World] (1981); Apostolic letter Mulieris Dignitatem [On the Dignity and Vocation of Women] (1988); Letter to Families (1994).